Jesus rejected in Nazareth, his home town from Luke 4:14-30 is a very easy story to re-enact. It requires little props, the only prep work was to make a scroll. I used old packing paper I had saved from Amazon boxes and taped it together to make a long scroll. Pre-session Activity: The students that came early looked up the Isaiah passage and copied it onto the scroll. 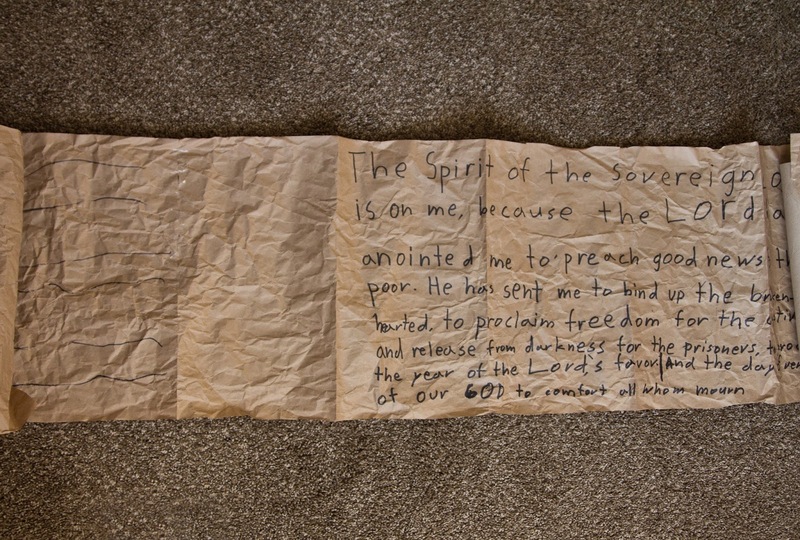 While one was writing, the others added "fake" writing on the rest of the scroll. You will note that the passage in Isaiah 61 that Jesus quotes is worded differently in Luke than it will be in Isaiah. This is because when Jesus read this particular verse he was handed the Septuagint (the Greek translation of the Old Testament that was popular in his day). 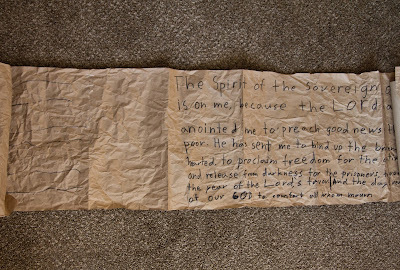 I forgot this, so when our "Jesus" read from his scroll, it was actually different than the reading in Luke. 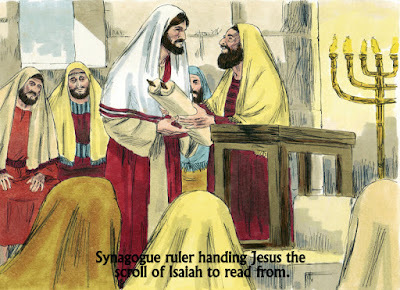 But he had an authentic scroll of Isaiah! 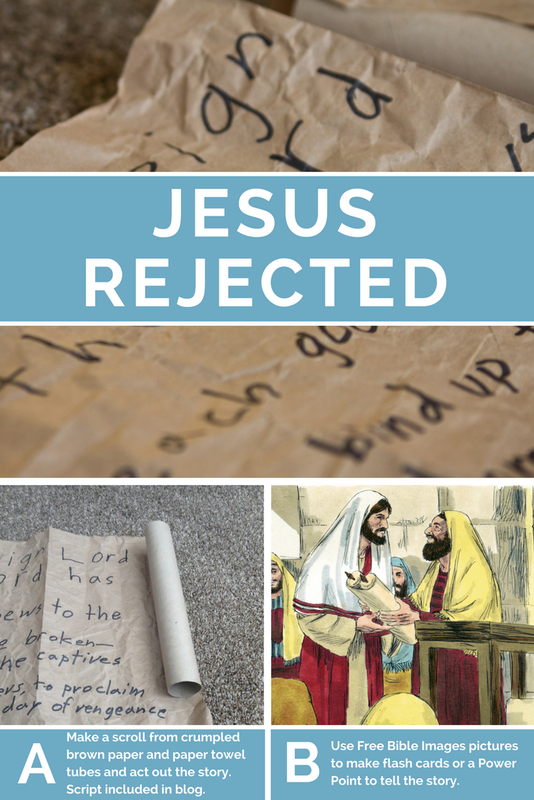 I made 11 x 17 flashcards to tell the Bible story from Luke 4:14-30. 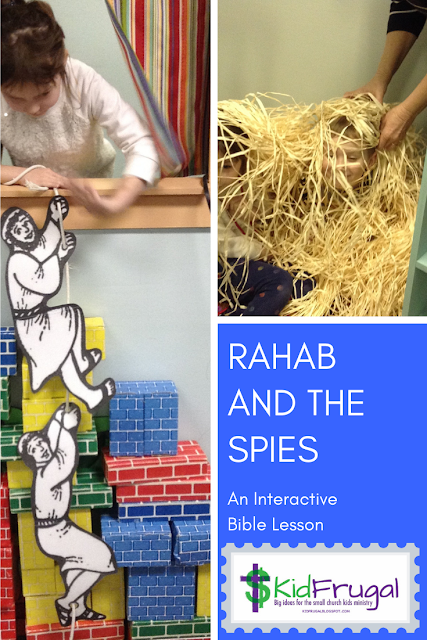 You can access my flashcards here, or you can make your own by going to Free Bible Images. Please note that this document will print 16 pages which you tape together to make 8 flashcards. Instructions for making the flashcards are located here. I wrote a simple skit to portray the event. All you need is a hallway with a room off of it, or any area that you can enter a room from. The room will be your synagogue and the hallway will act as the road leading there and also the road the people take Jesus on to go to the cliff at the edge of town. Here is the link for the skit. To make the synagogue, line up chairs on both sides of you room. Boys will sit on one side and girls on the other as you would in a traditional synagogue. I brought in a music stand for the lectern to act as the bimah which Jesus would have stood behind. 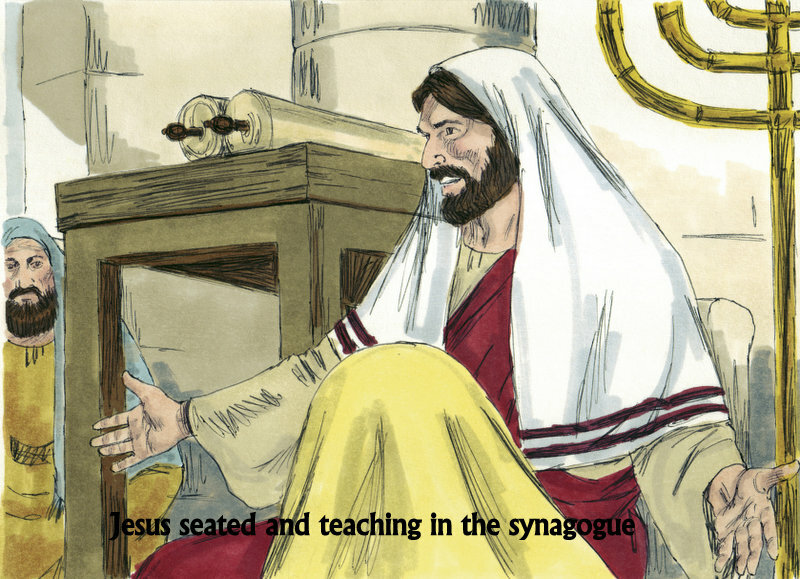 There was a table placed behind the bimah for him to place the scroll on after he had read from it.